Popular for unique tenting and floral arrangements, Raja Events And Decore, Delhi, has a dedicated and professional attitude. With a vision to redefine decoration and tenting concepts for weddings, it adds a new flavour to the way your venues look. With an expertise of over 12 years, the team has reached new horizons of creativity and is extremely determined to providing nothing but the best. By constantly evolving with the modern times and modifying the designing patterns, it is now a market leader and the preferred partner in showcasing the best of decoration. Raja Events and Decore is a pioneer in terms of the spirit of services and dedication. 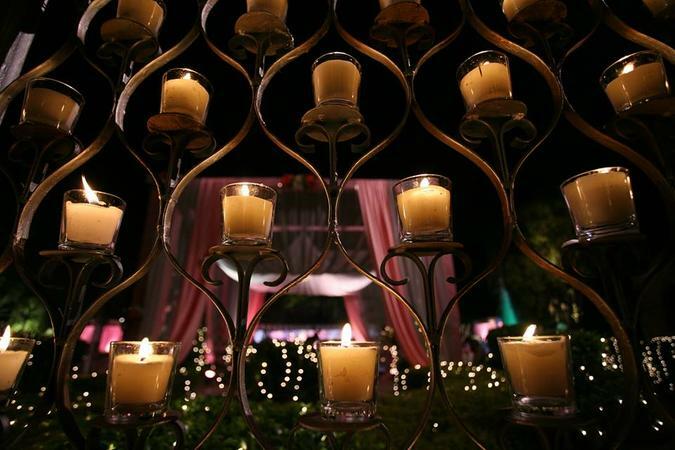 Raja Events and Decore is a wedding decorator based out of Delhi . Raja Events and Decore's telephone number is 76-66-77-88-99, Raja Events and Decore website address is http://www.rajatents.in/home.html, Facebook page is Raja Events and Decore and address is Church / Mall Rd, Shanti Kunj B Block, Ghitorni, New Delhi, Delhi 110070, India. Raja Events and Decore is mainly known for Wedding Decoration, Flower Decoration, Theme Weddings, Light Decoration. In terms of pricing Raja Events and Decore offers various packages starting at Rs 500000/-. There are 0 albums here at Weddingz -- suggest you have a look. Call weddingz.in to book Raja Events and Decore at guaranteed prices and with peace of mind.